Access Healthcare is recognized by several industry bodies and trade publications for excellence in Revenue Cycle Management, automation, and business growth. Access Healthcare was recognized as the Best Innovative CSR project for 2019 at the Corporate Social Responsibility Summit and Awards by UBS Forums in the healthcare category. The award recognizes our innovative CSR initiative, accessgiving, that reflects our commitment to making a sustainable impact on the communities that we live in. The CSR awards honor and celebrate the innovation and significant contributions that CSR practices make to our economy and society . CSI Mumbai Chapter announces Access Healthcare’s Prabhakar Munuswamy as Technology Led Transformation Leader 2018. Prabhakar Munuswamy, Vice President for Application Development has been recognized as the “Technology Led Transformation” Leader by the CSI Mumbai Chapter. The award recognizes Prabhakar’s focus on transforming business processes by applying technology. This award was presented to Prabhakar by CSI Mumbai Chapter at Welingkar Auditorium, Matunga, Mumbai on December 7, 2018. He also participated in a Panel discussion on Robotic Automation along with other Industry experts. Access Healthcare is honored to be recognized as one of the Top 25 Most Innovative Companies of the Year by CII Industrial Innovation Awards 2018. This is one of the most prestigious awards that evaluates cross-industry innovations across India. This award is a testament to our culture of innovation and quest for excellence. 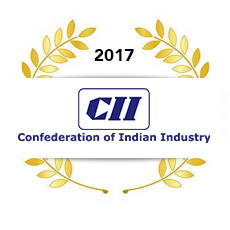 The CII Innovation Awards evaluates all kind of new processes, products, services, technologies, and another type of innovations that can fuel growth within the Industry. Access Healthcare is excited to be ranked #11 of the fastest growing companies in North America by SMU Cox School of Business in its 2018 Dallas 100 Awards. This is a prestigious recognition that reflects our technology-enabled service delivery capabilities and the consistent high-growth. The companies were ranked based on their location, sales history, legal status, credit report, and character. Access Healthcare is proud to be included in the most prestigious 2018 Inc. 5000 list of the fastest growing companies in America. This list represents a unique look at the most successful companies within the American economy's most dynamic segment. The companies were ranked based on the percentage revenue growth when comparing 2014 and 2018. Security Summit and Awards 2018 has recognized Access Healthcare as a Winner for the “Endpoint Security” on May 11, 2018. We have received this recognition for providing comprehensive and simplified endpoint security management that helps us to proactively monitor and protect a wide-range of endpoint network points from security threats across multiple delivery centers through a centralized solution. Access Healthcare has been listed in the 2018 Middle market 50 list by the Dallas Business Journal for the second consecutive year. This list includes the fastest-growing middle market companies in North Texas with annual revenue between $25 million and $750 million, based on the revenue growth over a three-year period. We attribute this recognition and our market success to our technology-enabled revenue cycle services delivery model. Access Healthcare has been named as a Winner in the Great Indian Workplace Awards 2018 for the Mega-Enterprise category by UBS Transformance at the Culture Summit. This recognition reflects the trust and commitment of our employees in making Access Healthcare a Great Indian Workplace in the healthcare IT/ ITES industry. For the second consecutive year, Access Healthcare was awarded for its flexible, conducive and growth-oriented workplace culture. Access Healthcare has been listed in the ©2018 IAOP® Global Outsourcing 100® list by IAOP. It is a prestigious honor that recognizes the best of the best in the outsourcing industry. The list was judged by an independent panel of recognized industry leaders through a rigorous scoring methodology on five categories – size, growth, awards and certifications, innovation, and corporate social responsibility. Access Healthcare has been recognized by the World HRD Congress, as a winner in the “Innovation in Recruitment” category at the Global Best Employer Branding, 2017-18 conference. This award recognizes the application of innovative practices in the overall recruitment strategy to attract top candidates through engagement, experience, and technology enablement. Access Healthcare Services has been recognized as the runner-up in the Best in Holistic Recognition category in People Matters Total Rewards and Wellness Conclave #TRWC2018. Our Vice President & Head of the People Function, Jacob Jesuroon received the award from Zubin Zack, Managing Director at O.C. Tanner and Ester Martinez, CEO & Editor-in-Chief at People Matters. Access Healthcare has been recognized as one of Chennai’s Best Employers as part of the 12th Employer branding awards. Our Vice President for Human Resources and Learning & Development, Jacob Jesuroon, received the award on behalf of the company at the awards event held on 12th December 2017 at Taj Clubhouse, Chennai. Everest Group’s PEAK Matrix™ is well known in the industry as a proprietary framework for assessing service providers and categorizing them as Leaders, Major Contenders, and Aspirants. Access Healthcare was named as a Leader in Everest Group’s latest report, Healthcare Provider BPO – Service Provider Landscape with Services PEAK Matrix™Assessment 2017. Access Healthcare is the proud WINNER of The Dallas 100 Entrepreneur Awards! We were ranked #11 out of 100. Caruth Institute for Entrepreneurship at the SMU Cox School of Business has celebrated the innovative spirit, determination, and business acumen of Dallas area entrepreneurs through the Dallas 100TM list. The list salutes the diversity, creativity, and resolve it takes to create and sustain a successful business in today’s competitive environment. Included for the first time, Access Healthcare ranked #11 in the 2017 list, which recognizes the company's significant sales and revenue growth over the course of last three years. Shaji Ravi, President and Managing Director of Access Healthcare has been awarded ‘Entrepreneur of the Year – 2017’ by the Confederation of Indian Industry (CII). The award recognizes Shaji’s relentless strategic work as an entrepreneur in building and growing Access Healthcare from 3 employees to over 8,000 employees in less than six and a half years. This award was presented to Shaji at a press conference held at the Taj Coromandel in Chennai on November 6th, 2017. Access Healthcare has been shortlisted for the Effective Recovery Award by the Business Continuity Institute. This achievement recognizes the effectiveness demonstrated by Access Healthcare in recovering from a force majeure situation caused by the cyclonic storm “Vardah” in December 2016. An international panel of jury members shortlisted Access Healthcare for demonstrating effective planning, load balancing across sites, resilience in responding to the situation, and recovering from the disaster in accordance with its business continuity plans. Access Healthcare has been named in the top 10 best healthcare companies to work for in Dallas. The list is based on Zippia’s findings and the aggregated reviews from leading career websites in US. The Dallas Business Journal recognized Access Healthcare as one amongst the Dallas Middle Market 50 list in 2017, which ranks the fastest-growing companies in Dallas-Fort Worth, based on revenue growth over a three-year period. Access Healthcare debuted at number 8 amongst the 50 fastest growing companies in the Dallas Region. People Matters, a niche community of human resources professionals, chose Access Healthcare among 300 companies as the Best in Social Hiring during its Talent Acquisition League Annual Conference 2017. The award recognizes our innovative Facebook based Refer and Win App and our 45-minute time to hire promise. The Great Indian Workplaces Awards (GIWA) 2017 recognizes extraordinary workplaces in India that creates happy employees by creating a congenial, caring, safe, enjoyable and trust based culture. GIWA places a lot of stress on workplaces with high degree of professional learning, and growth driven by visionary leadership. Access Healthcare was presented the recognition during the Workplace Culture Summit and Awards 2017 held in Mumbai. ‘Gamechangers’, a Coffee Table book from The Times of India, recognized Access Healthcare as one of the smart workplaces of Tamil Nadu for the year 2016. The book was released by Honorable Lt. Governor of Puducherry Ms. Kiran Bedi, a true game changer herself, at a function held in Puducherry. Anurag Jain, Chairman of Access Healthcare, was recognized as Ernst & Young Entrepreneur of the Year 2016 for the Southwest Region of the United States. Anurag was chosen for this award from among 50 Co-founders and CXOs of large companies. These business leaders were selected as finalists by a panel of independent judges.